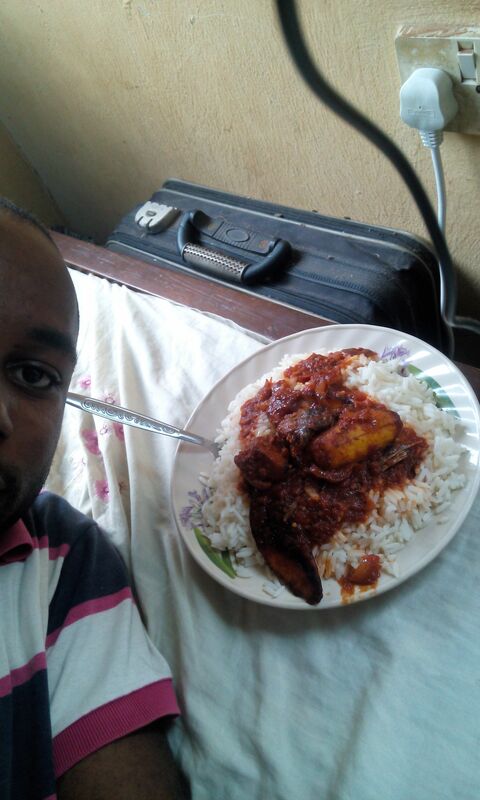 This morning I'm having rice, plantain and stew. I like my prefer my stew with fish as I am trying to avoid red meat as much as possible. Unlike many Nigerians, I prefer white rice and stew to the much-talked-about jellof rice and the the overhyped fried rice. You'll should come and join me!! Only if you don't have big stomach, by the way. .
@all please I mistakenly sent some SBD to your account. Could you please refund back to me? white rice is good for health ! That's an interesting breakfast man, can say i would usually have that, do you have bacon and eggs breakfast in Nigeria? Check out my latest piece on NASA's mission to put Dragonfly's in Orbit Around Saturn if you get a chance. You got a 76.35% upvote from @allaz courtesy of @princeshady5!